The Imagine All In Two System is easy to use and easy on the wallet! This shell (cover) can be used with the coordinating snap in inserts (sold separately), prefolds, flats, and/or fitted diapers. The Imagine All In Two Diaper is one of the most affordable all in two diaper systems on the market. Reusing covers and just changing out the inserts means less covers to buy. The waterproof shell can be wiped out and reused--just unsnap the insert and snap-in a clean one. Plus, this system is a one size diaper designed to fit most babies from 8 to 35+ pounds, so you will not need to purchase diapers in different sizes. The Imagine All In Two Diaper is quite possibly the most economical modern cloth diaper choice. Adjust the rise to best fit your baby. Snap the waist closure for a snug fit. Change out the insert when wet or soiled. Care Instructions: Knock solids into toilet (reuse shell until soiled or wash day). Unsnap inserts from shell. Fasten laundry tabs for hook & loop closure. Cold rinse or light wash with no detergent. Warm or hot wash with additive free detergent. Tumble dry low or line dry. No fabric softeners or rash cream. 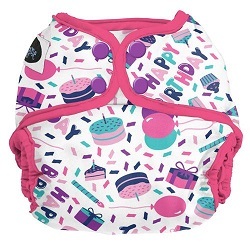 The Flip One Size Diaper Cover is the heart of the Flip Diaper System. It has options to meet the needs of every family and every situation. 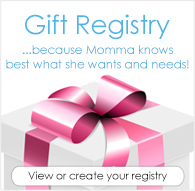 Use it with Flip inserts, prefold diapers, or your favorite fitted. This is a good diaper cover/shell. The snaps are compatible with Best Bottoms inserts and they work well with a prefold or flat. Love the double gussets and double rows of waist snaps. Miss having a tummy and back panel inside. My daughter has a super tiny waist, and these fit perfectly with no gaps at the thighs. This was one of the first cloth diapers I purchased while still pregnant. I bought the Overboard (anchor) print. This is a quality made diaper with good elastic, double gussets, two layers of PUL, and two rows of snaps. I only bought the cover, not the snap in inserts, so I have used it with prefolds, flats, and inserts that came with other systems. I have had a hard time getting a good fit with this diaper because it is roomier in the seat than anything else I've tried, and it's bulky in the leg area on smaller rise settings due to the thickness of the elastic. (even when I make sure the extra fabric is folded up instead of down) My son is 5 months old now and it's only starting to fit him properly, but he's on the thin side. I think it will work better on him once he's big enough to use the higher rise settings. This would probably be a good choice for chunky babies too. That being said, this is my absolute favorite diaper in terms of print and I had some of my son's newborn pictures taken while he was wearing it. Would love to try this out on our newest wee one!